When the going gets tough, is it time to get round the table, asks DDN. 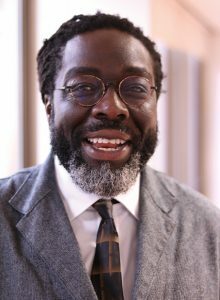 A couple of years ago, addressing an audience at The King’s Fund, Lord Victor Adebowale commented, ‘There should be no wrong door and every service should reverse the Inverse Care Law, which simply states those people in need of health and social care the most get them the least.’ Since then, this conversation has grown louder. As the threat of disinvestment has become reality and more of the smaller treatment agencies are forced to close their doors, we find ourselves looking at escalating mortality figures relating to drugs and alcohol and wondering why this is allowed to happen. If, as Lord Victor suggests, we are drifting towards the opposite of community-based care, what should we do about it? Can we overturn the mentality of ‘survivalism’ we’ve been forced to adapt to and harness an appetite for revolution? Are our systems and processes wrong – and what specifically isn’t working? We need a switch in focus to ‘really work together, providers and commissioners’ and reach a consensus to ‘not go below the line, or treatment will suffer’, she says. By going ‘below the line’, she means cut-price tendering – and the frequent recommissioning (‘bloody waste of money’), ‘political yo-yo-ing’ and ‘bean counting’ that has helped to deprioritise investment in addiction services. Furthermore, she believes we are missing the public health and human rights approach to drug use, which UNGASS (the United Nations General Assembly Special Session on Drugs) brought to global policy in 2016. At this latest session, 193 member states agreed the need to move from a criminal justice to a public health approach, and supported the concept that people can recover through evidence-based treatment and social support. ‘There have been calls for solutions that dovetail with the mainstream – long-term recovery and support,’ says Dale-Perera, and these should include strong elements of harm reduction – community OST, more needle exchanges, and better coverage with naloxone. 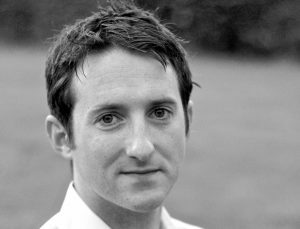 Mike Dixon, chief executive of Addaction, believes we need to ‘change the feel of services’ – a strong message from one of the larger treatment agencies. ‘Many services operate from a room that local authorities don’t want to use for other stuff,’ he says. Changing the welcome to clients is part of changing something much bigger, he adds. ‘We need to reach out to a lot more people, particularly for alcohol and non-opiates. We divide people by substances [to treat them] but have no idea who’s using other substances and how many people are using problematically. If addiction services are losing profile and suffering from disinvestment, what should – and could – happen at a political level? Jonathan Ashworth, shadow health and social care secretary, says that in power, Labour would ‘give addiction services the profile they need’. He acknowledges that we’re ‘facing an addiction crisis’ and that despite high demand, ‘people receiving treatment have fallen to their lowest levels’. ‘Overall it’s a bleak picture, with more cuts to come,’ he told the National Substance Misuse Conference in September, pledging to expand treatment services if he became health secretary. Labour would reverse cuts, spend an extra £7.7m on prevention, and address gaps in the workforce, he said. He talked about how the loss of addiction psychiatrists meant that we were unable to provide services for complex dual diagnosis early in the treatment cycle, and wanted to improve links between mental health and addiction services. Another priority he had learned from talking to the sector was the need to address patchy naloxone provision across the country. 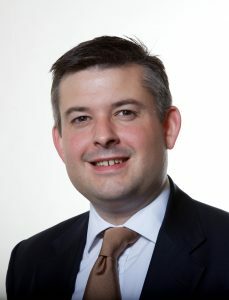 Jonathan Ashworth, shadow health and social care secretary, says that in power, Labour would ‘give addiction services the profile they need’. The political pledge from the shadows is one thing; working with the ramifications of complex and illogical drug laws is another. 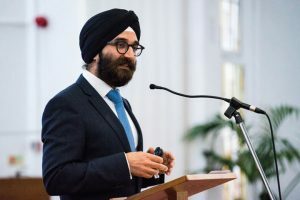 Dr Prun Bijral talks from experience as CGL’s medical director and draws a direct line between ‘the prohibitive situation’ and more potent forms of drugs finding their way into the mainstream. Katy MacLeod has expertise from her work in training and development at the Scottish Drugs Forum (SDF) and also as director of Chill Welfare, a social enterprise created in response to drug-related deaths at music events. She, too, is concerned about ‘super-strong’ versions of drugs, and comes across ecstasy tablets on the festival circuit that are ‘three times the strength they were’ – a particular issue for people returning to ecstasy at festivals. Many of the people she comes in contact with have undiagnosed mental health issues. 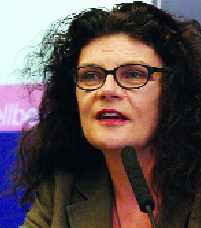 She knows of prisoners who aimed to become drug free but who are now on synthetic cannabinoids – just because these drugs are such a regular part of prison life. So how do we go about doing things differently? Many deep-rooted problems stem from lack of investment or outdated legislation. But there is an argument for grabbing the things we can influence by the scruff of the neck. A positive sign is the willingness of police and crime and commissioners (PCCs) to join the conversation. A recent meeting of the Drugs, Alcohol and Criminal Justice Cross-Party Parliamentary Group heard from four PCCs keen to declare that ‘our approach to drugs is failing’ and find an effective, evidence-based way forward. (DDN, April, page 6). ‘By joining up with different groups, we can make positive steps in the right direction,’ said Derbyshire PCC, Hardyal Dhindsa. With less time and fewer resources, it can be difficult to make time for debate. A comment at the National Substance Misuse conference, from a worker at a homeless service, could serve as a reminder that a little action can go a long way: ‘We had a grown man cry because we gave him underwear,’ he said. This article has been produced with support from an educational grant provided by Camurus, which has not influenced the content in any way.